Texas' battle with the Environmental Protection Agency continues Tuesday as the state argues against another air pollution rule before the U.S. Supreme Court. Texas Attorney General and GOP gubernatorial candidate Greg Abbott’s battle with the Environmental Protection Agency continues Tuesday morning in the U.S. Supreme Court, when his office will argue against a proposed federal rule to limit the effects of air pollution across state boundaries. 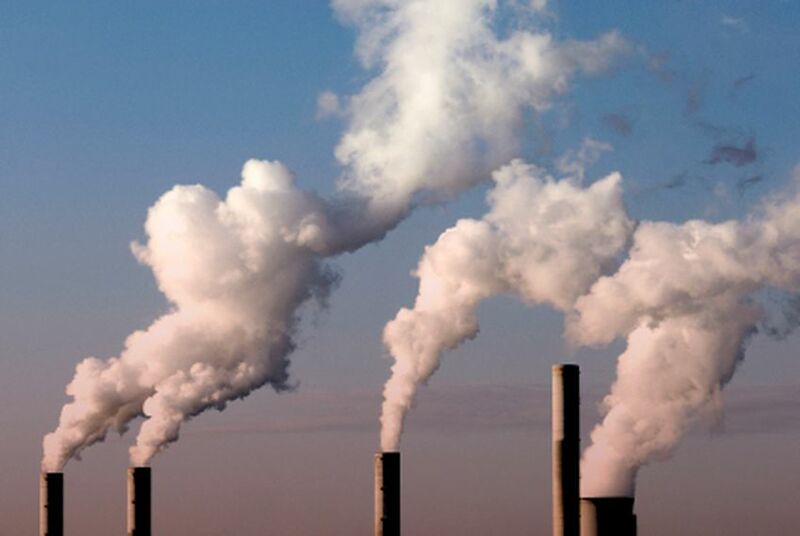 The rule itself — which would identify Texas and 26 other “upwind” states as significant contributors to air pollution in “downwind” states, requiring the group to further cut emissions — is not in question. The high-court justices will only consider how the rule should be implemented, and a judgment in the case would, at most, delay — not stop — the EPA’s 15-year effort to address cross-state air pollution. But delaying the Cross State Air Pollution Rule, also known as the “transport” rule, is “what the opponents of the rule are after here,” said David Spence, a professor of business and law at the University of Texas at Austin. A federal appeals ruled against the transport rule last August, and the EPA is now appealing that decision. The rule is the latest in a series of EPA attempts since 1998 to address air quality problems in some states that originate beyond their own borders. Each of the EPA's efforts thus far has been challenged in court. The EPA largely won the first lawsuit, which Michigan filed in 1999. The state, along with seven others, challenged a 1998 rule aimed at reducing the contribution of certain mid-Atlantic states to ozone problems elsewhere. North Carolina was the next to protest the EPA's efforts, in 2005. That state challenged the Clean Air Interstate Rule, or CAIR, which expanded federal regulations of cross-state air pollution to include particulate matter, along with ozone, and changed the way the EPA calculated how much pollution states should reduce. While the federal circuit court ruled that the EPA's tweaks to the act weren’t acceptable, it also concluded that the new expansions did not go far enough to protect other states’ air quality. The judges said CAIR could continue while the EPA developed a new rule. That new rule is the transport rule Abbott is challenging, which includes more stringent restrictions on particulate matter. A coalition of states including Texas, Alabama, Louisiana and Virginia — along with industry groups like the United Mine Workers of America — blasted the transport rule in a lawsuit filed in 2011, saying it would devastate the economy. Texas’ electric grid operator has said the rule could lead to “rotating blackouts,” and electric power giant Luminant estimated it would have to lay off 500 employees. The EPA contends that the rule would save 30,000 lives a year. The crux of Texas’ argument against the rule, though, is based on implementation more than economic concerns. Rather than giving the states three years to develop protocols for following a new federal air quality regulation — like the EPA usually does — Abbott will argue Tuesday, the agency ignored its own rules and immediately issued its own plan for Texas and other states to follow. “EPA’s delays and mistakes should not excuse its decision to impose [federal plans] immediately,” Abbott’s office wrote in a brief to the court. The EPA argues it has been issuing rules regarding cross-state air pollution since 1998 — giving Texas plenty of time to decide how to follow them. The state still has not submitted an acceptable plan to follow CAIR, which the EPA announced five years ago. The American Lung Association has joined the EPA in the lawsuit, along with the Environmental Defense Fund, the Sierra Club and the Natural Resources Defense Council. The Supreme Court will consider whether the EPA was correct in issuing its own federal plans instead of letting states come up with them first, and how the agency should determine how much emissions states need to cut. Implementation questions have been at the heart of a number of cases that Texas has brought against the EPA. A federal judge recently dismissed another attempt by Texas to sue the agency for taking over its greenhouse gas regulation protocol. Whatever the court rules, he said, some form of a cross-state air pollution rule is likely to become law, even if it is delayed. The lawsuit may be as much about politics as it is about preserving economic growth, he said. “If you’re running for statewide office in Texas, you know, it never hurts to be fighting the EPA,” Spence said.